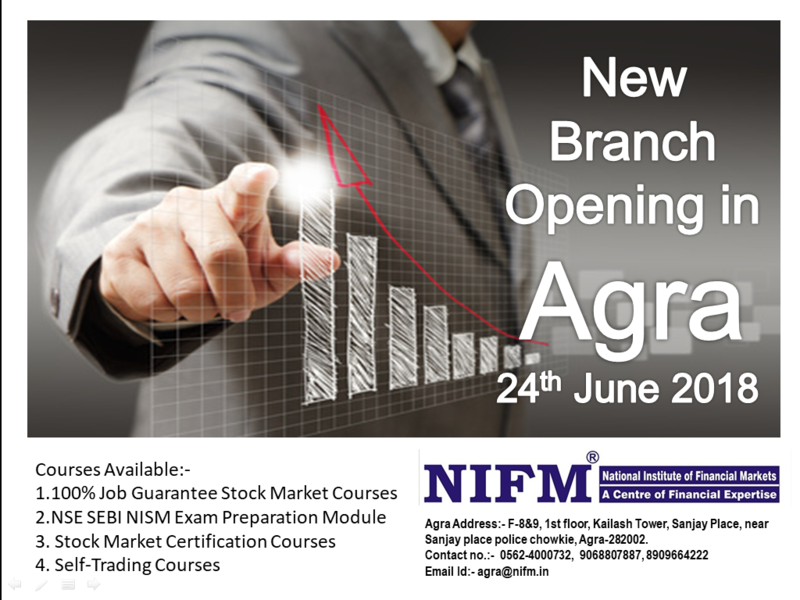 It is Great pleasure to announce the opening of the 12th branch of NIFM in Agra, the City of Taj. Now you can register yourself for stock market courses at your nearest branch. NIFM Agra Stock Market Institute providing the short term, Fast track share market courses, Job orientated courses, Stock market trading courses, and NCFM, NSE, NISM, SEBI, BCSM, MCX certification exam preparatory courses. Register yourself for the new batch of share market classes and Learn the Art of Trading.